You are His…by conquest. What a battle He had in us before we were won! How long He laid siege to our walls against Him. 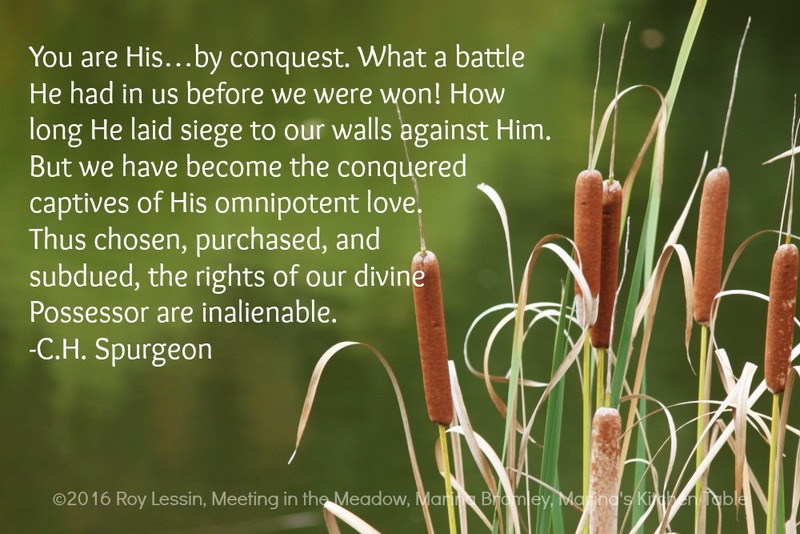 But we have become the conquered captives of His omnipotent love. Thus chosen, purchased, and subdued, the rights of our divine Possessor are inalienable.